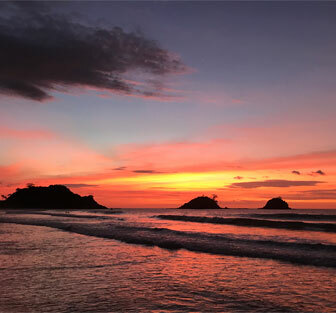 The further north you travel on the actual island of Palawan, heading north from El Nido town proper, on the western side of the island, the bigger the waves get. This is something that surprised me. El Nido is not typically regarded as a surfing destination. However, when we arrived at Nacpan Beach, not that I’m a surfer, but I could see that this was a place that would be attractive for surfers. Not only that, but this was also a place that wasn’t really full of foreign tourists. As a matter of fact, it wasn’t even at full with local tourists. With beautiful soft, golden sand and clean water, there were regular sets of waves coming in. The waves were comfortably and consistently reaching 1 to 2 meters. This really is quite a unique place compared to most of the other places you would expect to find in Palawan. There is also the added bonus of Calitang Beach. This is the twin beach on the eastern side of Nacpan Beach. From an ariel view, it looks like a sandbar. However, this is more of a local beach with a number of fishing boats there taking refuge from the waves on the Nacpan side. The beach is lined with a thick grove of palm trees and there is plenty of shoreline and sand to enjoy. As a matter of fact, the beach stretches on for a couple of kilometres. It’s great to see that this place hasn’t succumbed to development as yet. There are a few local style restaurants and bars along the beach, but it is certainly not overdeveloped by any stretch of the imagination. 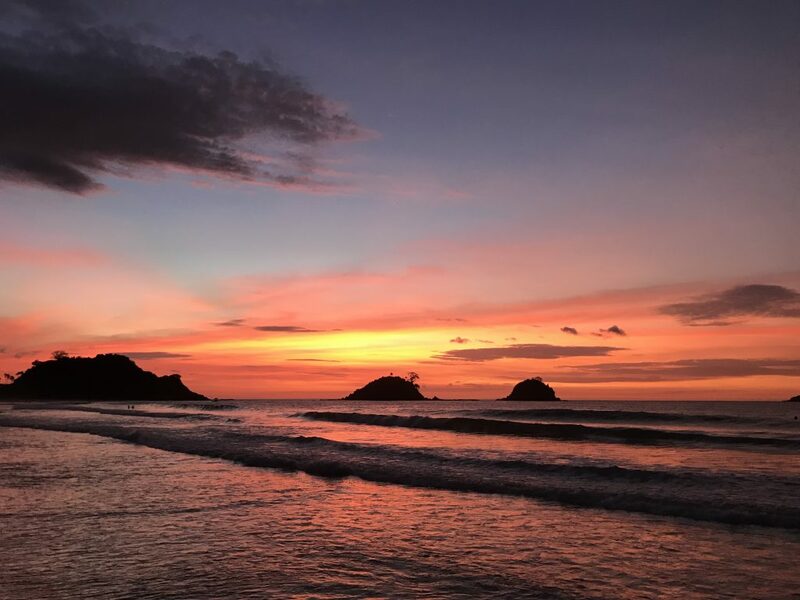 As Nacpan Beach faces west, you get some absolutely unbelievable sunsets here. When we were there we were lucky to see one of the most incredible sunsets I have ever seen. It was at this time that we were trying to leave but every few minutes, the sky kept changing colours. It literally took us almost an hour before we actually left, such was the captivation. 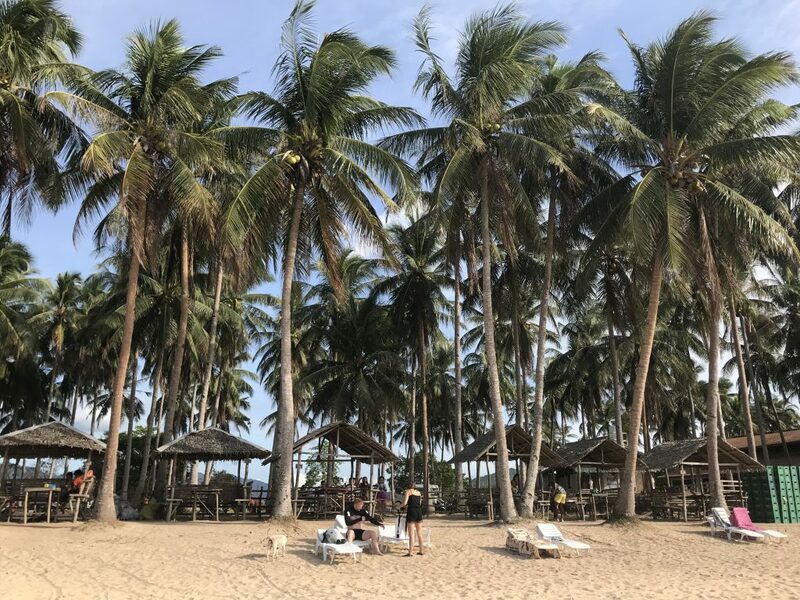 If you are ever in El Nido, you really need to make sure that you check out Nacpan Beach. You can also check out my Vlog which will give you a real good look and feel for the place. Costs: There is an entry fee of P50/person. Over 3 kilometres of beautiful sand and one of the widest beaches you will find in the area. Truly magical. There a few little nipa huts around which are good enough to sit around and relax in among all the palm trees. This photo is taken from the Calitang Beach side as you can tell by the fishing boats in the foreground. Nacpan Beach is in the background. The sunset that kept on giving. Just when we thought we were going to leave, more beautiful colors kept being painted across the sky. 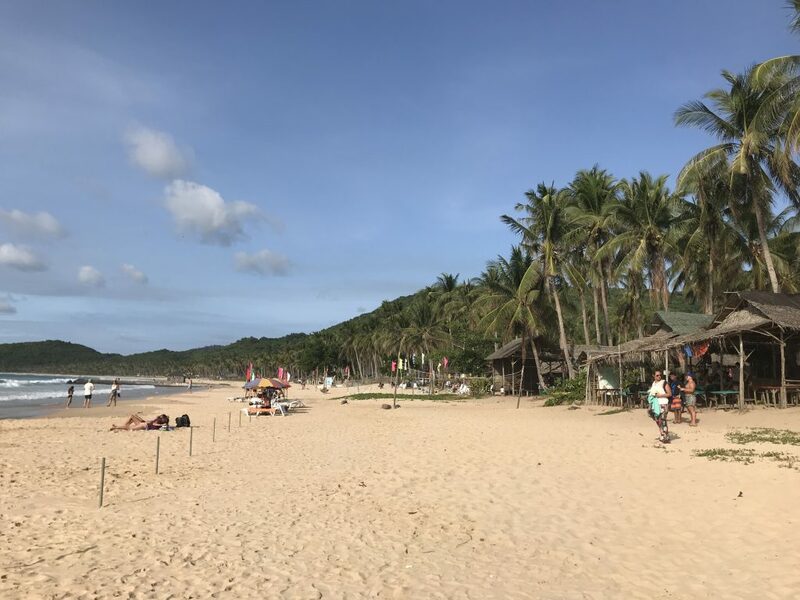 Please click below to check out this beautiful beach in El Nido! Nacpan Beach is about 20 kms from El Nido town proper and you are able to hire a van/car to take you to Nacpan Beach for about P1500 for the day. However, like most places in the Philippines, you need to haggle. The trip takes about 30-40 minutes. You can also take a tricycle to Nacpan Beach from El Nido town proper which is a cheaper option. However, be prepared for a bumpy ride. As mentioned earlier, the road from the highway is unpaved and can be very uncomfortable. 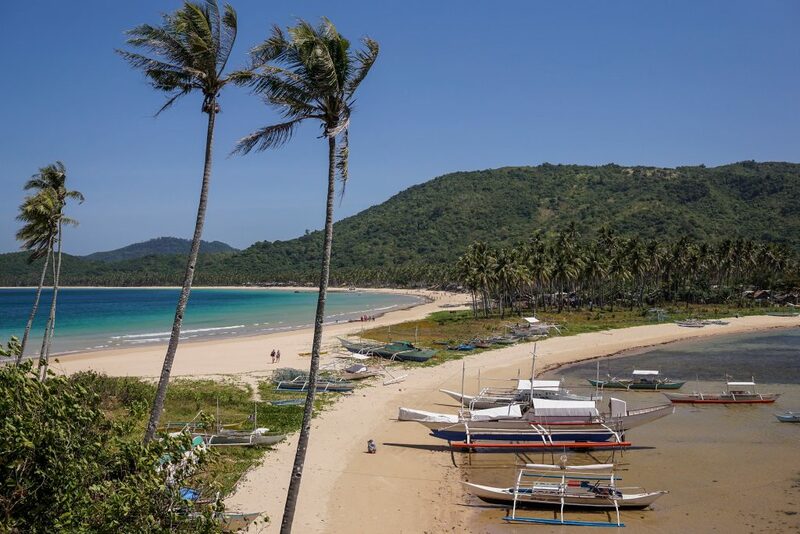 This is a relatively easy day trip from El Nido town proper but you need to be prepared for a bit of rough and tumble. Once you get off the main highway, the roads to Nacpan Beach are unpaved, dusty and very bumpy. So make sure you are prepared for the rough ride which lasts for about 4 kms.